Spain is a constant display of culture and history, where there is a graceful convergence of the old and the new, where football is a religion and art a way of life. Home of the Sagrada Familia, Spain prides itself on its people and their general enjoyment of life. This makes the country an attractive destination for expats from all over the world. In fact, Spain stands as the 7th most popular destination for UK expats to live in. Latest statistics from the Spanish Statistics Office state that foreign nationals comprise about 11% of the Spanish population (46.7 million). Out of 5.12 million foreign residents, 319,163 (6.24%) are British citizens, ranking 3rd in the number of foreign inhabitants in the country, preceded only by Romanians (15.11%) and Moroccans (14.79%). Compared to its European neighbours, Spain is relatively affordable in terms of cost of living. Madrid and Barcelona for example, rank 63rd and 71st respectively in Mercer’s Cost of Living Survey for 2014. Although these are higher than their 81st and 84th respective rankings last year, these cities are still less expensive than say Brussels (56th) and London (12th). However, other factors have to be taken into account before moving to Spain. With unemployment rates still high (24.5% as of July 2014), salaries not keeping up with increasing prices of goods, and the snail-like movement in Spain’s economic growth, moving to Spain can be a serious challenge for expats. For the fourth instalment in our series, AES International gives you Spain. For this piece, we decided to focus on Spain generally, giving particular attention not only to Madrid and Barcelona but also some of the provinces, as expats also tend to favour the beauty and excitement of Spain's coastal areas. With the recession, property prices in Spain have fallen by 30% since 2007, with predictions of a much bigger drop of 50% by 2015. This is of course good news for prospective expats, especially retirees seeking warmer retirement destinations. The coasts of Alicante and Almeria are popular expat destinations, especially for British expats, because of their attractive weather and low property prices. A 3-bedroom villa in Costa Blanca in Alicante can cost as little as EUR 300,000, whilst villas in less popular areas, such as La Zenia, can cost around EUR 150,000. On the other hand, if you are thinking of buying an apartment within the city centres of Madrid and Barcelona, you may have to spend as much as EUR 500,000 for a 3-bedroom apartment. Buying a property in Spain can be challenging, as in any other European country. However, for EU citizens in particular, this may be much easier. For retirees and holiday home buyers, investing EUR 500,000 on a property would merit a ‘golden visa,’ making owners eligible for a residency visa. It is strongly advised that you seek the services of a real estate agent, as language barriers can be a real nuisance during negotiations, as well as for their knowledge of the real estate market in different areas. It is also important to consider other costs and fees when buying a property in Spain, which could typically be 8-14% of the value of the property. This would include property transfer tax, VAT, land registration fees and legal fees. Despite the considerable decrease in property prices in the country and houses losing almost half of their value, this has had little to no effect on the rental market. Those coming to the country to work will most likely settle in the cities, such as Barcelona and Madrid. You can find a room in a shared apartment for as little as EUR 150 per month, but you may have to be very patient and diligent when looking for cheap accommodation. Typically, a studio apartment in Madrid or Barcelona can cost around EUR 350 per month, whilst 1-bedroom or 2-bedroom apartments may charge as much as EUR 900 per month. Outside these cities, rental costs are much cheaper, with 1-bedroom to 2-bedroom apartments costing as little as EUR 250 to EUR 650 per month, respectively. Renting a home in the coastal areas is a different matter. Most British expats find solace in the provinces of Alicante and Almeria, within a few minutes from the beach and where the climate is warmer. In Costa Blanca, a 3-bedroom villa under a long-term tenancy contract of 12 months or more can cost EUR 1,500 per month, on average, but more modest housing options, such as apartments or semi-detached houses, can cost as little as EUR 500 per month. However, finding a property in the coastal areas to rent long-term can be quite challenging, as most landowners are looking to sell their property or let them as holiday rentals only. In general, tenancy contracts in Spain last for 12 months and may be verbal or written. (Even if you do speak Spanish fluently, it is best to have a formal contract in writing and translated, to ensure that you understand all the terms.) Upon moving, there is typically a one or two month deposit required, which you cannot use to pay for your rent. For shorter periods, there are landlords who allow for a 6 month contract, but it is advised that you indicate an ‘escape’ clause in your tenancy agreement, against the possibility that you have to leave earlier than intended. In Spain, your monthly utility payments largely depend not only on your consumption but also on your location. A single expat living in 1-bedroom apartment in Madrid or Barcelona can spend as much as EUR 100 on monthly bills for electricity, water and heating, whilst those living in villas in coastal areas may spend as much as EUR 300. Electricity bills are paid every other month, whilst water payments are typically paid every three months (and some rental contracts include the cost of water). On the other hand, living in warmer locations, such as Costa del Sol in the province of Málaga, or in areas with mild winters, such as Alicante, can cost you much less in utility bills. When looking for accommodation, it is well worth acquiring the Energy Performance Certificate (EPC) of the property to ensure that your home is energy efficient. Monthly mobile and internet charges in Spain can cost as much as EUR 60, on average, and some packages already include cable services. Naturally, your mobile charges depend on your usage and the services you want to use. You can spend between EUR 15-30 per month for a 2GB data plan with Telefonica or Jazztel. When you are buying internet services for your home, some companies might require you to have a landline installed (which might add to your utility costs). Your monthly grocery expenses will largely depend on your lifestyle and your location in Spain, but they are not far from prices in other European cities, including London. A couple living in Madrid or Barcelona could spend as much as EUR 300 for their monthly food expenses, but this might be a little less in the provinces such as Alicante or Almeria. Opting for local and less expensive brands may help alleviate your monthly food bills. Health-conscious folks will particularly enjoy the relatively low cost of fruit and vegetables in Spain, which can cost as little as EUR 1 per kilo. Wine and olive oil in Spain are also inexpensive compared to other European cities, since these two commodities are abundant in the country. Meanwhile, getting a Big Mac in Spain costs just about the same as in Brussels and other European cities, based on The Economist’s The Big Mac Index, which is a well known standard of measurement when determining the cost of living . On the other hand, a Grande Starbucks Latte in Spain costs EUR 4.6, less than in Brussels, but more than in London. Getting around Spain is quite easy as the country’s public transport system maintains excellent standards and is generally inexpensive, but this also depends on your location. Living in cities such as Madrid or Barcelona allows you to have access to the most efficient means of travel, such as trains, buses and taxis. A train and bus ticket can cost EUR 1.00, whilst normal tariff rates for taxis can cost EUR 2.50. These amounts are only slightly different from costs in the provinces, where you might have to spend a few more cents for taxi rates. Spain also boasts its high-speed train (AVE) network. Though a bit more expensive than typical trains, the AVE is the most convenient means of distance travel, allowing commuters to move quickly from one Spanish city to another. If you do not like commuting and would like to have your own car to get around the country, petrol prices are just a few cents cheaper than in the UK, whilst prices of normal and luxury cars are just about the same. However, driving in Spain can be quite a challenge for expats, with traffic congestion, high traffic fines and the difficulty of getting parking spaces. Expats in Spain have a lot of options for the education of their children. There is a wide variety of schools to choose from: public, international, private and semi-private. These schools can also be Catholic, which is quite common in Spain; others are secular; some are gender-exclusive. Expats who are planning to stay in Spain for only a short time tend to favour international schools as they use an international curriculum and specifically cater for the needs of international students. Generally, schooling in the provinces is less expensive than in the cities, but they can still be a burden for expats. One of the best and most popular international schools in Madrid for children of British expats is King’s College, which can charge between EUR 7,000 to EUR 10,000 a year for tuition fees. International schools in provinces, such as the Lady Elizabeth School in Alicante, can cost expat parents between EUR 4,000 to EUR 9,000 per year. If you plan to stay in Spain for a long time and would like your child to overcome the language barrier, public (state) schools might be the best way to go as teaching in such schools takes place in Spanish. Though some public school teachers speak English, not all are proficient in the language and a child is not likely to get any special treatment. However, public schooling is free, and parents may only have to spend money on books and extracurricular activities. Meanwhile, private schools in Spain use the Spanish, British or American systems and most teach in Spanish. Private schools can be expensive, with fees reaching up to EUR 5,000 per year. Semi-private schools, which are partially subsidised by the Spanish government, can charge as little as EUR 700 per year, exclusive of fees for extracurricular activities. Art is one of the most dominant aspects of Spanish history and the country is known as the birthplace of some of the greatest artists the world has ever seen, such as Pablo Picasso, Goya, Miró, and Salvador Dali. Spain boasts one of the largest art collections in Europe, and art and history aficionados should never miss a visit to the Prado Museum in Madrid and the Guggenheim Museum in Bilbao, considered to be one of the best art museums in the world, costing only EUR 14 and EUR 13, respectively. Opera lovers, on the other hand, would enjoy a variety of performances all throughout the year in the Valencia Opera House, costing a mere EUR 15. 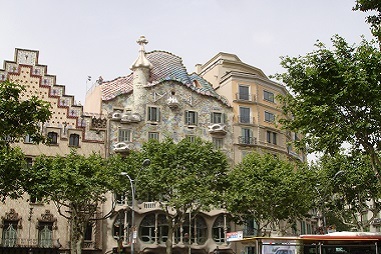 Barcelona is famous for the extraordinary architecture of Antoni Gaudí. Dining out in a city can be fairly inexpensive, with a meal for two in a mid-range restaurant ranging from EUR 20-30, whereas a dinner for two in a high-end restaurant could cost you EUR 60. Wine can be relatively cheap and can be purchased for as low as EUR 4 per bottle. For film lovers, a trip to the cinema averages EUR 8. Spain is not just known for its culture and long and colourful history but also for its party culture. Ibiza, an island off the coast of Valencia, is extremely popular to European and even Hollywood party-goers and is considered by some to be the party capital of the world. A night out in Ibiza could set you back EUR 100 and can reach as much as EUR 300, as the island has so much entertainment to offer. For expats wanting to maintain a good quality of life without much financial adjustment, Spain makes an attractive destination. The proximity to culture and history alone makes for an attractive proposition. Add to this the lifestyle and general disposition of Spaniards and you could have your very own version of paradise for you and your family. But before packing all your things and imagining yourself bathing in the sun and gazing at the late sunset along the shores of the Mediterranean Sea, it is probably best to assess your lifestyle and capability to make such a big move. Do not just go on a whim. The wisest decisions are made when carefully considered.